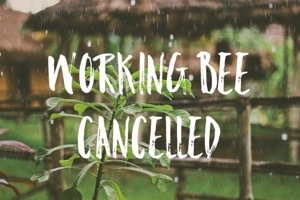 Unfortunately due to the inclement weather forecast – we have cancelled our school working bee which was scheduled for tomorrow morning, Saturday 23rd July. Many thanks to those who offered their time and support. We aim to reschedule another one soon.